Historically it took many years’ experience to be truly at ease and skilled at handling a powerboat. This skill was achieved over years of on the water trial and error experience. What about the rest of us? Here’s a good way to get there quickly and safely. This seminar is a three-part series: Close Quarters Maneuvering, How Boats Behave and Seas, and Handling at Sea. The seminar shows you how your boat will behave and why in response to your controls. You’ll understand what the pro’s have learned the hard way. This gets you there faster, and with confidence. Then, on the water you can visualize your actions and execute them easily. The seminar is often offered with on the water training for a complete experience. 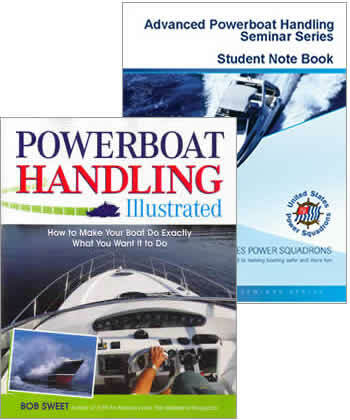 The full-color book Powerboat Handling Illustrated by Bob Sweet is included as a reference.